Gordon Ramsay’s ‘reborn’ Pétrus has re-opened today, just days ahead of the launch of his first Australian restaurants Maze and Maze Grill. Pétrus is now based at 1 Kinnerton Street in Knightsbridge with head chef Sean Burbidge at the helm. 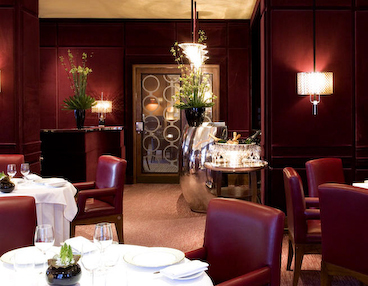 Ramsay’s firm Gordon Ramsay Holdings lost the previous Pétrus site at the Berkeley hotel after chef patron Marcus Wareing left the company to work directly with the Maybourne Hotel Group-owned property in Knightsbridge. The restaurant was renamed Marcus Wareing at the Berkeley. Meanwhile Maze and Maze Grill will open in April in Melbourne, Australia. Both restaurants will be located at the city’s Crown Metropol hotel and will be modelled closely on their British namesakes. Josh Emett will be chef de cuisine at both restaurants. Maze is expected to offer ‘sophisticated yet relaxed’ dining, serving French cuisine with an Asian twist. Meanwhile Maze Grill will offer a wide range of different breeds and cuts of beef cooked over coal.